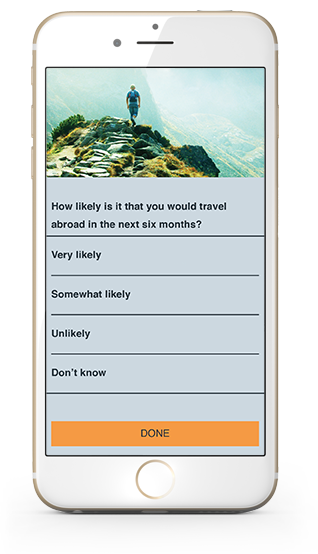 Find out more about your users by asking them to take a survey. 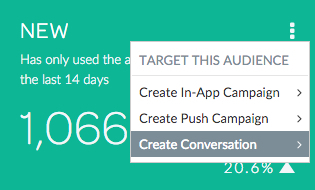 Use the results to develop targeted campaigns and to make informed product decisions. This depends on the type of survey that is being run. 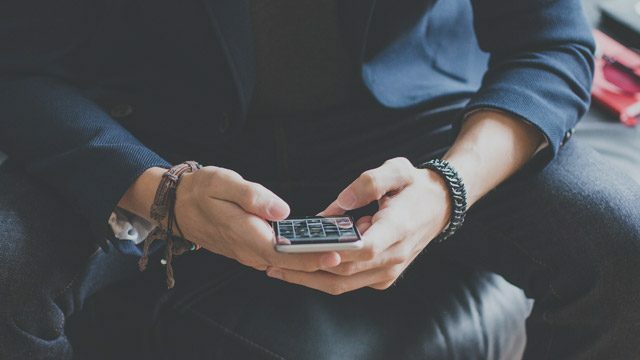 Some surveys are more relevant for new users and others can help you determine how to improve the experience for engaged users. Try sending different surveys to different segments of users based on their behavior. Completion rates (how many users start the survey, and if so, how far do they get). Relevant campaign success (for example, campaigns that use information gathered in the surveys). New and Engaged users: On the User Lifecycle dashboard, in the top right corner of the New or Engaged user lifecycle card, click the menu and select Create Conversation. 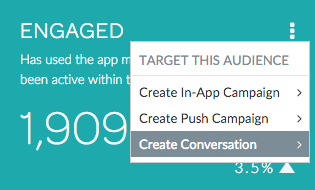 On the Set Target screen, create an audience filter, and on the Events tab, trigger after third session start at a time that makes sense inside the app. Set the message display rules to only display the message once. Try phrasing questions in different ways. Change the order of questions.